Posted on 15. Sep, 2010 by Corey in All, Dayton Dragons Baseball, General Baseball. If current Dayton Dragons shortstop DiDi Gregorius was able to collect airline miles as a youngster, he would be king of the skies and a platinum miles member for sure. “I flew back and forth from Holland to Curacao so many times,” Gregorius said. Gregorius was living with his mom and the rest of his family on the island of Curacao, while his dad was playing professional baseball in Holland. Flying back and forth allowed him to spend time with both of his parents, and give him the chance to watch his dad play ball. To this day, Didi’s dad is pitching professionally in Holland while Didi is trying to move up the ladder in the Cincinnati Reds organization. The two have played several times in the same international tournaments, but have yet to face each other in a game. The younger Gregorius has been playing for the Netherlands team from Curacao, while his dad has been playing for Holland. “Hopefully we are able to play against each other before he retires,” DiDi said. To be more exact… It’s that my father isn’t playing anymore in holland. He stopped playing this year in Curacao. 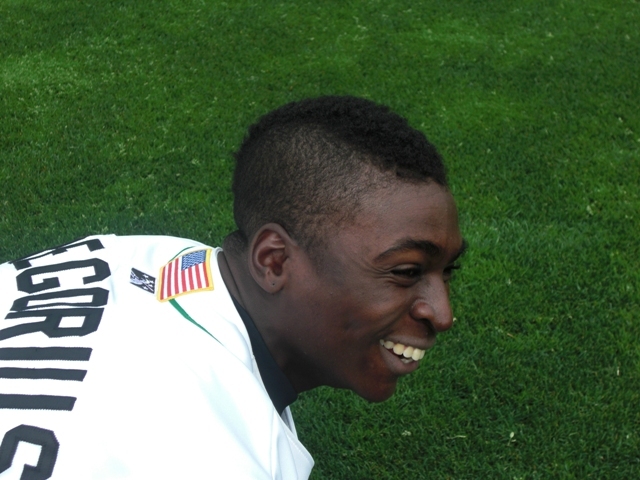 Greetings from Johannes gregorius.. Dayton Dragons Didi Gregorius older brother.